Ever since the first Free Sticker Week ended back in February '07, I've been sending out WTF Stickers to anyone that mailed me a SASE or a small Souvenir. Nothing specific, per the instructions page, "anything will do." Well, here goes anything! 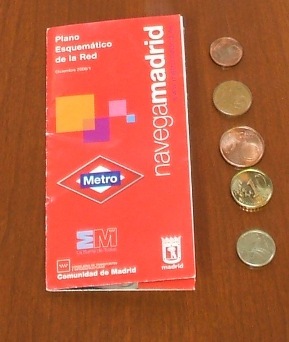 In addition to a map of the Madrid Metro, Adrian (from Spain) sent a 5-Peseta coin, and ¢10, ¢5, ¢2, ¢1 Euro coins. Seriously Europe, you really need a ¢2 coin? 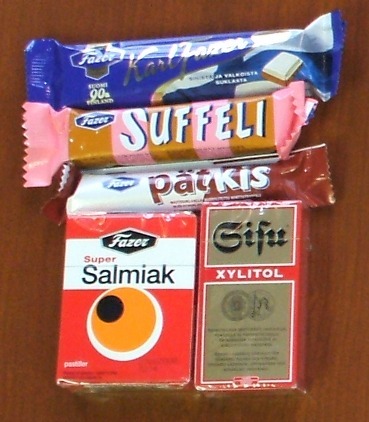 Tero R (Finland) sent in an incredibly awesome assortment of Finnish candy. Except for the salmiakki ("salty liquorice"), which folks around the office here described as "absolutely ridiculously awful," "like chewy cigarette butts," "a vomitorial nightmare,"and "eh, not too bad." 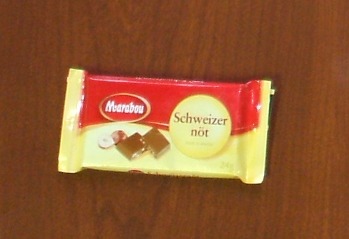 Seriously Finland, how can you eat that stuff? "I was going to send you a red Swingline stapler," wrote Isaac G. (River Falls, WI), "but it wouldn't fit in the envelope, so I am including a red paperclip instead." "TKO-aly is the student organization for CS-students at Helsinki University," Ninko U (Helsinki Finland) wrote, "also, here is a strip from 'The Cursing Hedgehog'. A freeform translation from Finnish: The hell!! I just don't get why I'm hanging with a jerk like you!! / Yeah, that's right. Why? Find someone nicer! / Well because I f****ng love you!!" Must be a Finnish thing, because I don't f****ng get it, but at least it's not as bad as salmiakki. 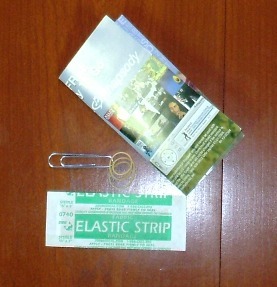 Michael F (Cleveland, OH) enclosed everything I'd ever need to get out of any difficult situation: a paperclip, a rubber-band, a bandage, and a folded up advertisement. Someone else mailed in Richard Dean Anderson ("MacGyver") a while back. 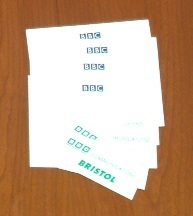 Ben (Bristol, UK) traded up BBC/Bristol stickers for WTF stickers. I think Ben made out a little better on his side of the deal. 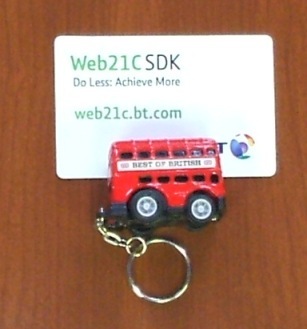 Yannis L (London, UK) sent in a fun little roll-backwards-and-then-watch-spring-forward double-decker bus toy. Notice the key-ring clip on it. Seriously Britan, do you think people will actually put this on their keyring? 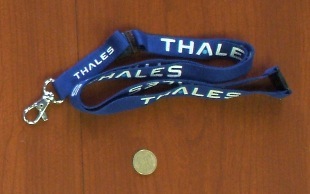 Gabriel H (Vernouillet, France) sent a company-branded lanyard and a ¢10 Euro coin. I have no idea who sent this in, or even if it's supposed to be a jar opener or a rubber Frisbee. The real fun, though, was visiting the advertised site. 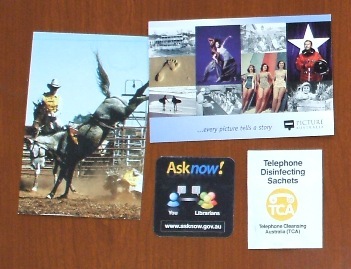 Among other things, Daniel R (Parkes, Australia) enclosed a Telephone Disinfecting Sachet from the TCA (that's Telephone Cleansing Australia). It's "specially formulated" with "70% isopropyl alcohol... to kill germs and leave your telephone clean and hygienic, protecting your family's health." Just to let you know, Australia, regular 70% Isopropyl Alcohol will do this, too. Actually, you're probably best off if you don't lick the phones in the first place. 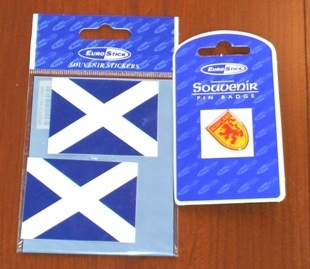 Andrew C (Paisley, Scotland) sent in some real souvenirs. Really, it says so on the package! With my Swedish reading comprehension ranking at a solid 0%, I was a bit worried that I wouldn't know how to use this Schweizer nöt from Tommy B (Gothenburg, Sweden) . Fortunately, the back side had helpful instructions. 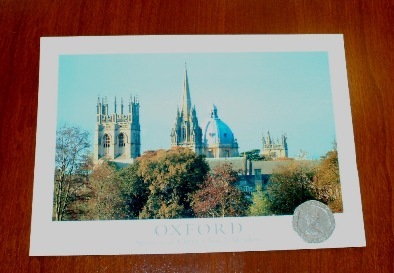 Along with a postcard, Edmund D (Oxford, England) enclosed "crazy British money." I did verify that it is, indeed, crazy: it's a seven-sided coin. Seriously Britain, what's up with that? 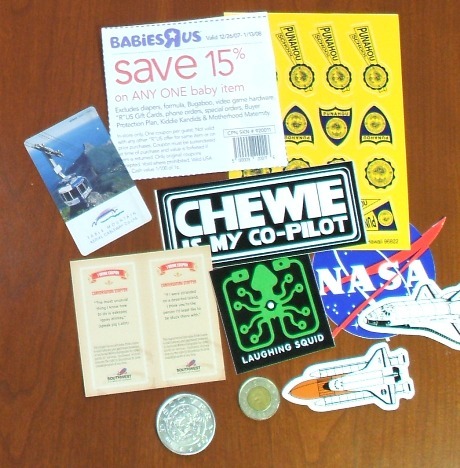 And finally, here's a random assortment of souvenirs whose origin I'm unsure of, including a Babies-R-Us coupon, a Table Mountain Aerial Cableway Pass, two Southwest Airlines Drink Tickets, NASA souvenirs, Punahou High School stickers, and a Canadian Toonie. I still have a lot more to photograph, so stay tuned for the next Souvenir Potpourri. Feel free to snail-mail in your own in exchange for some WTF Stickers. The important thing was that all of these pictures were taken on a wooden table. Really brings the whole room together. Salmiak (which really refers to a specific kind of mined salt, and only by extension to salty liquorice, which is nearly the only place it's ever used) is hardly a Finnish specialty. The true land of the liquorice is the Netherlands, where you can get hundreds of different kinds of liquorice. And the salty ones (mostly with Salmiak salt indeed) make up a big part of them (other kinds are made with honey, mint, creme, or quite a few other ingredients. And of course they can be soft or hard, or even rubbery). And you can naturally also buy directly branches of the sweet wood liquorice is made from. My French mother was surprised the first time she tried salty liquorice, but she didn't dislike it. I personally don't like liquorice at all, so count me out on this one :) . The other mountain you can see on the cover of the pass is called Lion's Head. Our "crazy British money" isn't just seven-sided: each edge is curved so that the coins have constant diameter, which property being useful for people who make vending machines &c. As for silly denominations of money, our continental friends not only have the eminently sensible two-eurocent coin, but also notes up to the value of EUR500 (slightly more than USD650). This, I understand, is primarily to please the Germans, who like carrying large sums of money on their persons. At least our money feels like money, rather than the play money the US uses as currency. 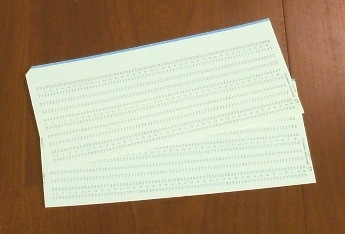 Seriously, the USA, try using proper paper for your notes. Funny-shaped coins help blind people identify them. TRWTF is that the three lowest value Euro coins have the exact same design, colour, and almost the same size. After seven years I still have to check the numbers on the damn things, because the 2 cent coin in particular becomes arbitrarily similar to the 1 and 5 cent coins as store lighting decreases to zero. I assume all the committee funding went towards the neat two tone 1 and 2 euro pieces. Oh, and the big 500 euro note is purple and lavender. I know we're Europeans and we're supposed to be artsy and metrosexual, but... come on. America seriously needs to abandon both the penny and the dollar bill. Pennies are worth too little to be worth bothering with, and I just hate try to feed dollar bills into vending machines. The new dollar coins are adequate; they're at least visually distinctive from the quarter, unlike the Suzie B.'s. The only place dollar bills remain useful is strip clubs! 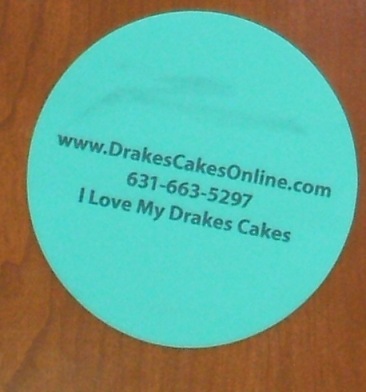 The big round aqua rubber thing with the Drakes Cakes addy on it is meant to be wrapped round a screw top for a better grip. It is most commonly known as a "tool used to increase torque", or TUIT. These tools are made in many shapes, usually of soft elastic rubber, and most have some kind of promotional text on one side and the letters TUIT on the other. 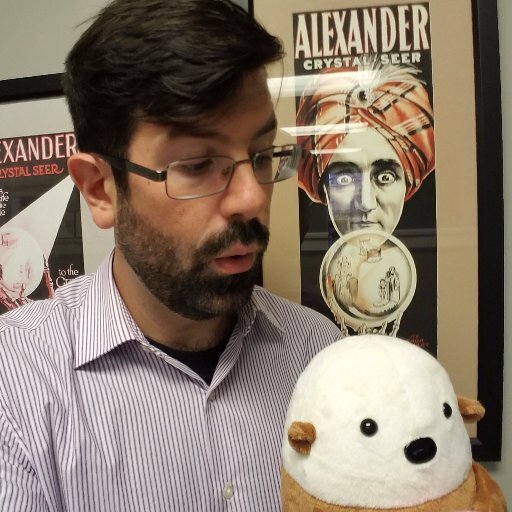 You are very fortunate that your TUIT is a round one. You see, any shape TUIT can be used to open a stuck jar, but a round TUIT can also enable you to rake the leaves in your yard, wash your car, take out the garbage, or even call your mother. In fact, there's probably no end to the tedious work you can do, once you get a round TUIT. Ammonium chloride flavoured candy is really tasty. But tar flavoured liquorice is even better. I really should try to figure out how to get myself some tar candy in Stockholm. 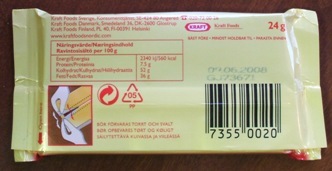 I believe tar candy is more popular in Finland so the Finnish guy really should have added some tar candy too.